And now, for part II of the story of Les Machines de L'Ile, I present you the biggest part of the story, in every sense of the word. Three story-high roving mechanical elephants. Did you know such things existed? Could you ever have imagined seeing -- or riding in -- one of these? Wild elephants couldn't make me (miss riding this wild elephant). But, then again, I couldn't make these wild elephants, either! Leave it to somebody with a great sense of mechanics and robotics. The ears flap, the eyelids flutter, the trunk arches and trumpets. The elephant even, occasionally sprays water -- especially on hot days and especially towards groups of squealing, giggling children. At first, you might see the sign and wonder. "Surveillez les enfants" ("Watch over your children"). That's pretty good council when there's a massive elephant just wandering down the street. You see it round the corner, and it's pretty hard to believe. It's even harder not to smile. And harder still not to run towards it to take photos. The only reason the girls are this happy is because they know we've already bought tickets to ride the elephant. For about two years, I have been checking the web site for tickets to ride the elephant, but the problem is I never know I'm going to be able to head to Nantes until very short notice, and the tickets are already sold out. This trip is no exception (we decide on an overnight in Nantes about 5 days before we go). But I figure I'll never time the elephant right and I assume we'll just visit the museum and see the rest of the wonders and just look at the elephant from the outside. Well, it turns out that they save a large chunk of tickets for walk-ins each day. Since we get there in the morning on a non-weekend day, there are still tickets to ride the elephant left in the late afternoon. It's well worth the wait to see it from the inside, and the top-side. 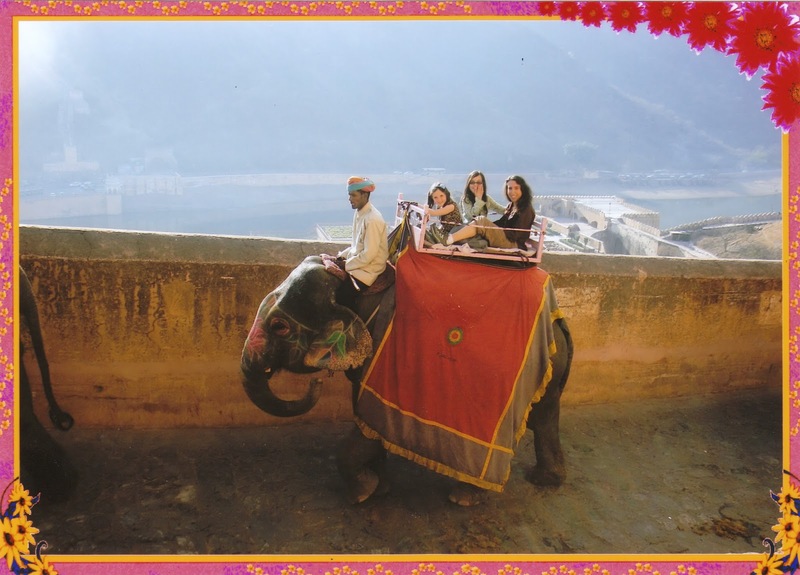 When the girls and I visited India about five years ago, we rode a real elephant, as one does at the Amber Fort in Jaipur. For the girls, it was their first elephant ride; for me my second (having ridden one in Thailand). Recently, however, I've been doing some reading about elephant riding, and I'm pretty disturbed about the animal cruelty -- not the weight (we weigh nothing to an elephant) but the cruelty of the training to tame them. The beauty of Nantes' Great Elephant, of course, is that there's no cruelty involved. Plus, you get to ride inside the belly of the beast, not just on its back. And, it's a lot taller than a real elephant, so the view's pretty special. For all the wonders I've seen in France, I'm guessing this is the strangest and most unexpected of them. Sauvaget Cendré is simply the ashed version of the Sauvaget -- Sauvaget part II, if you will. Therefore, it too is a raw goat's milk cheese that hails from Deux-Sèvres, a department in Nouvelle-Aquitaine (formerly in the Poitou-Charentes part of it). The name refers to the word "sauvage" meaning "wild" and also "cendré" meaning "ashed". Like its plainer, whiter sister cheese, the Sauvaget Cendré is a thick disc of creamy lusciousness. But when I say "creamy" I mean that the sort of creamy that's nearly chewable, not the kind that spreads easily on a piece of bread. It's sliceable-creamy. While I know that the ash doesn't actually change the flavor -- the same hints of dried flowers, the fine balance of salt and sweet cream -- it must do something psychologically, because I'm always convinced that the ashed, blackened version of a cheese has just slightly more character and flavor than its vanilla-colored counterpart. And so, with absolutely no real science to back me up, I'm declaring the ashed version the winner. It's the second version of the wildest cheese (by name) that I know for the second part of the story about the Machine de l'Ile and its marvels. It's not a savage elephant, but it certainly is wild -- one of the most amazing and unexpected things I've ever seen!